March 7th 2011 - Terry was usually a discriminating Southern California bride, but picked her Wedding Officiant without effort. She thought, without much of a search, "He is available, great, let's book him!" 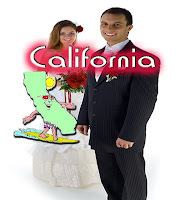 Her story is especially troublesome, in that it is a true one - Joining the ranks of many wedding ceremony nightmare stories which come to the notice of The Clergy Network of Southern California - (Wedding Officiators) - by virtue of a person or persons attending some wedding ceremony tragedy. Hearing that we are consummate professionals, TCN is often asked for help, by brides likeTerry, who don't know where to report a Wedding Clergy or Officiator problem in California. At a recent bridal show, it was again affirmed that many couples not only pick their Wedding Officiants with reluctance, but they do so in complete ignorance! It seems tragic that something so important as the wedding ceremony is treated so casually. After all, the Wedding Clergy or Marriage Officiator has much control during the ceremony presiding. Once the wedding ceremony begins, they can say or do what they want, within reason. They can espouse their political, religious or other views. They can cut the ceremony short, make it longer, crack distasteful jokes, insult the cherished ideas of others, or any number of unsatisfactory things. Their words and actions will be in the minds of the wedding guests, the marrying couple's families, and the bride and groom for a potential life time. Shouldn't the memories be pleasant, bringing back fond memories? There is only the one chance to "get it right". So, why so laid back, or trusting or uninformed about Wedding Officiants? At the bridal shows, brides seemed to be more concerned about price than the service being contracted. Perhaps its the economy or something more permanent - a shifting in the culture, which devalues the role of Wedding Officiator. Like when selecting other wedding professionals, should not research be incorporated into the decision making process? What about professional references? Will the prospective Wedding Officiant provide a "real" contract with specific services outlined? Will the Wedding Officiant guarantee emergency backup in the event of their illness? Will the contracted Wedding Officiator be the one that shows up on the wedding day? Will the Wedding Officiant even show up on the wedding day? As to their personal appearance, will the Wedding Officiant wear what the couple requests? Will they provide and then stick to the ceremony wording selected by the bride and groom? Will they file the marriage license properly? There are so many things to know about selecting a Wedding Officiant! With the rise of Wedding Officiant "fakes", it is even more of a problem than before! Concerned only about money or promoting their personal views or stroking their ego, illegitimate Wedding Officiants are duping brides and grooms in the Southern California area. Some might say, "Well the couple gets what they deserve. After all they should have done their research!". Whatever your opinion, it is our mission, as genuine Wedding Officiants, to say a few words about the subject. Our hope is that there will be less "Terrys" out there, and more couples with great wedding ceremony memories! What Happened To Terry The Bride During Her Marriage Ceremony? A number of things, but one of the most troubling was her having to correct the Wedding Officiant more than once during the wedding ceremony! From the beginning, when the Wedding Officiant asked, "Who gives this woman to be married to this man? ", Terry had to give commentary. Her response to the Wedding Officiants questions, "Mom, I didn't tell him to say that!". It got worse from there. Choose your Wedding Officiant wisely! At http://www.theclergynetwork.com/ – The Clergy Network of Southern California has a membership of civil or religious marriage ceremony Wedding Officiants which travel to south land locations for the purpose of presiding marriage ceremonies. 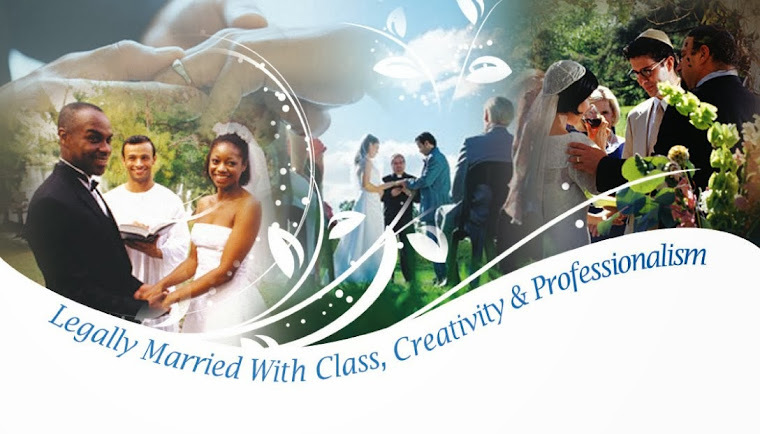 To learn more about having a custom written marriage ceremony, private marriage license issuance and a Southern California Wedding Officiant contact – info@theclergynetwork.com or our main office at 714 970 8839.